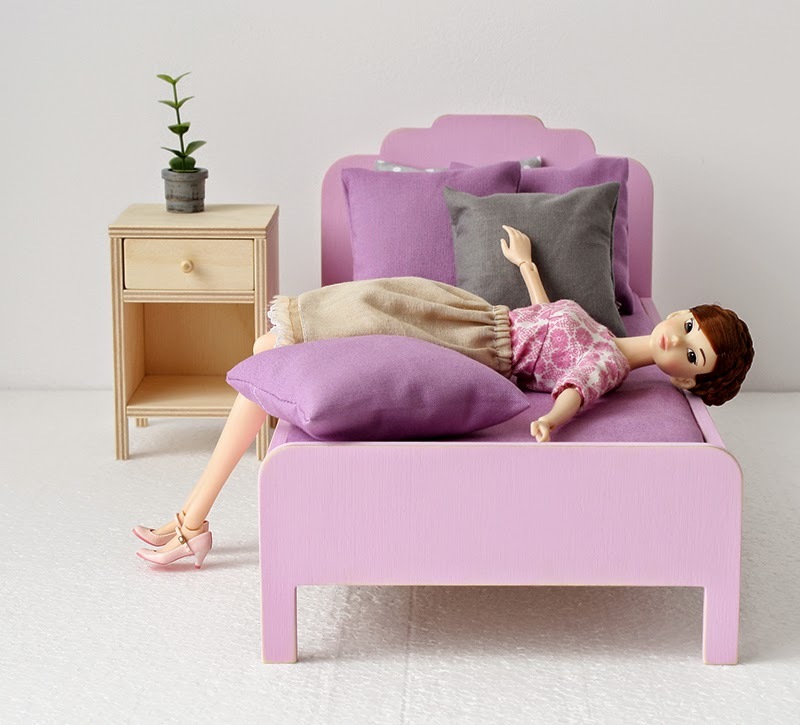 Bed for 10-12" dolls. Model 620-05. Height 15,4cm (6"), seat height 7cm (2 3/4"), length 34cm (13 3/8"), width 16cm (6 1/4"). Made of plywood, painted with acrylic.